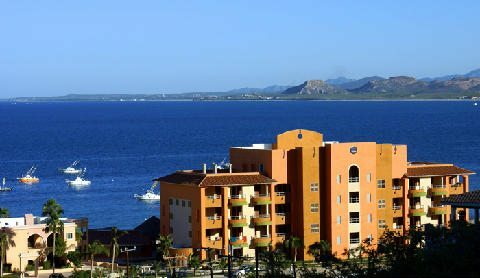 The crown jewel of the Bay of the Palms are the newly constructed, luxurious Villas de Cortez Resort Hotel and Condominiums. 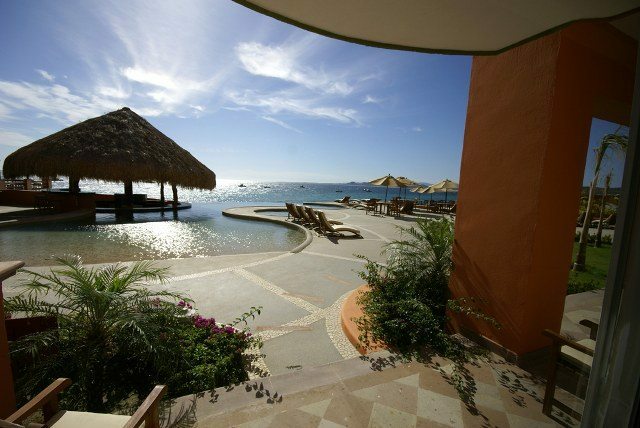 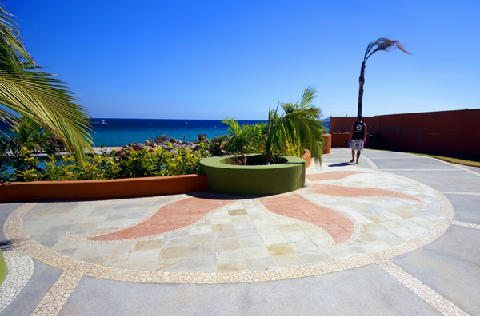 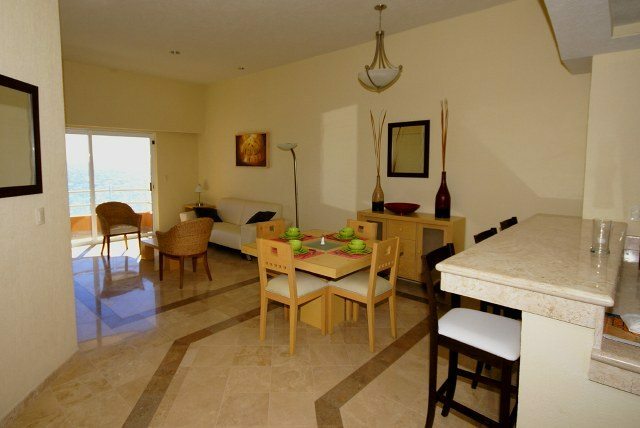 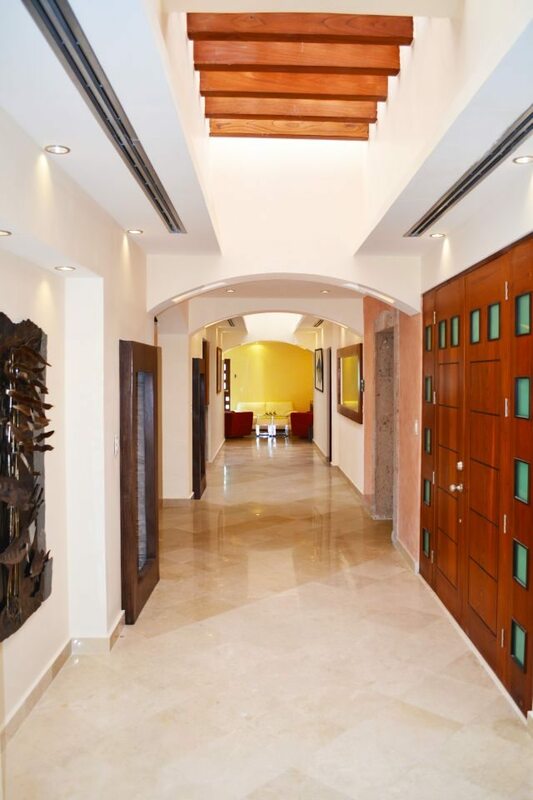 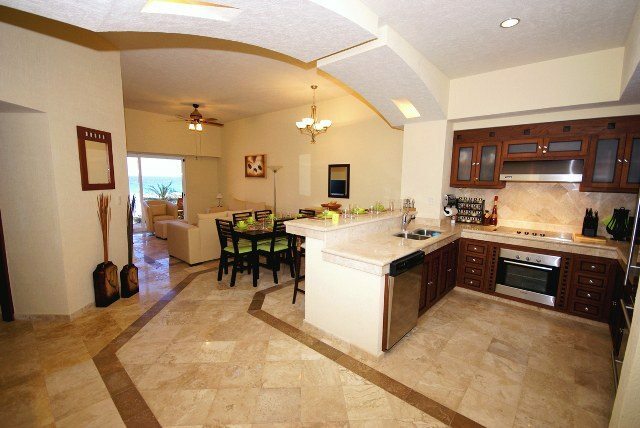 Located on a stretch of secluded white sand beach, Villas de Cortez provide three styles of private condominiums featuring native stone, marble, sophisticated interior design and premium furnishings. 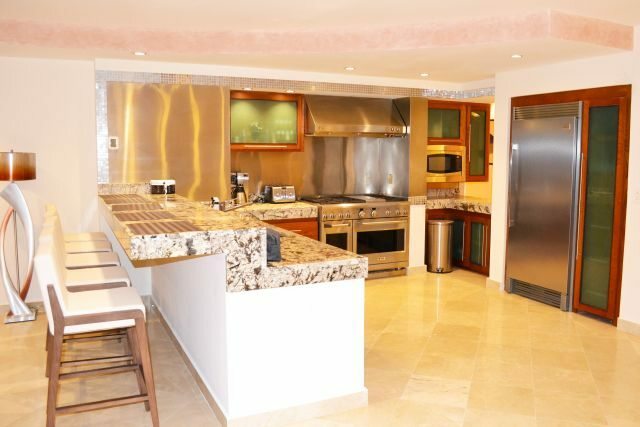 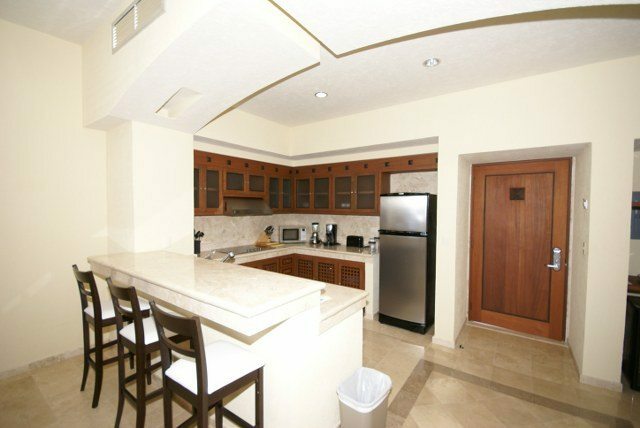 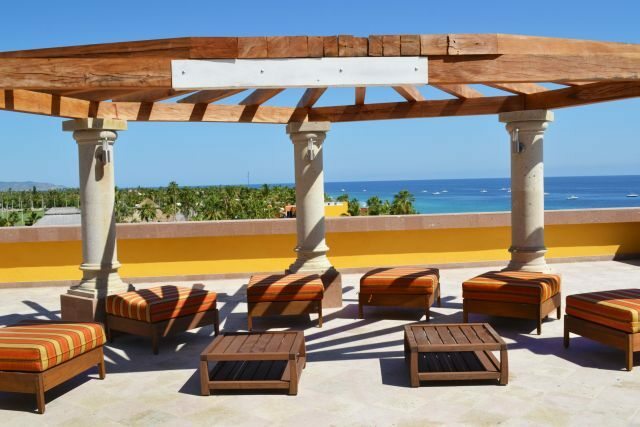 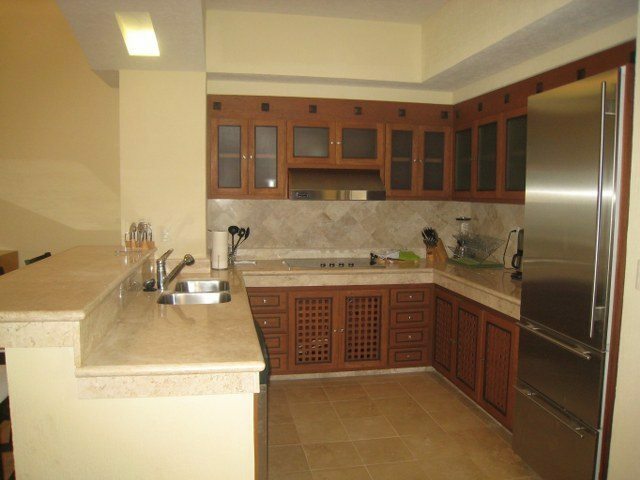 All three condominium styles take advantage of breath-taking views overlooking the private Infinity pool and azure Sea of Cortez, and include full kitchens with wet bars, Sub-Zero appliances, and are completely stocked with flatware, cookware, and dinnerware. 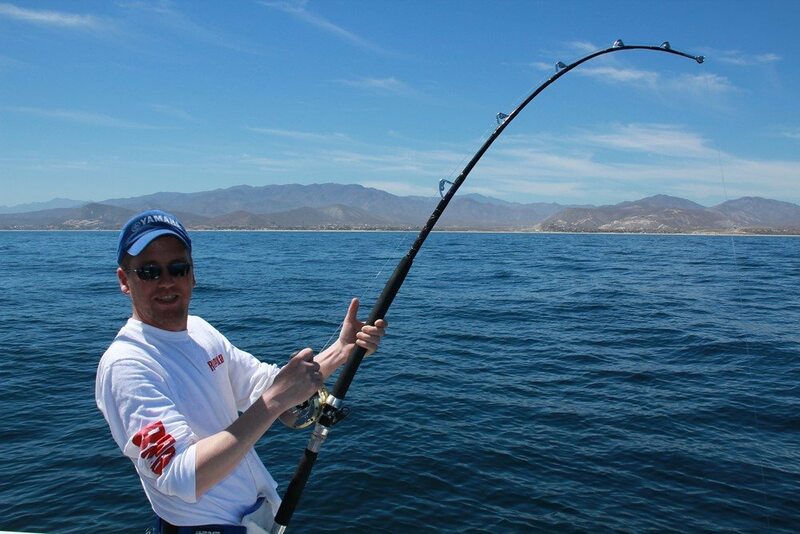 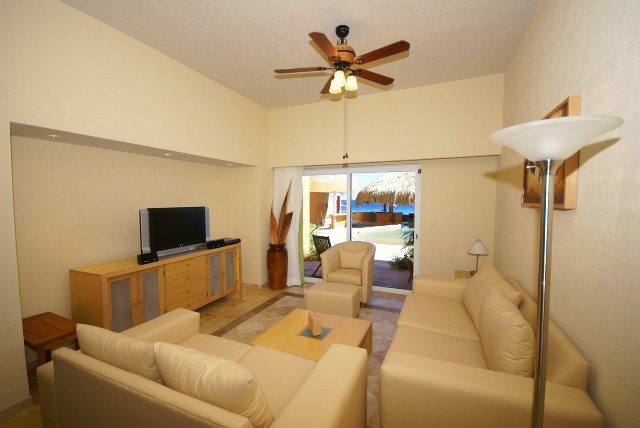 Dish Network satellite service is provided in most of the suites, as well as wireless Internet service. 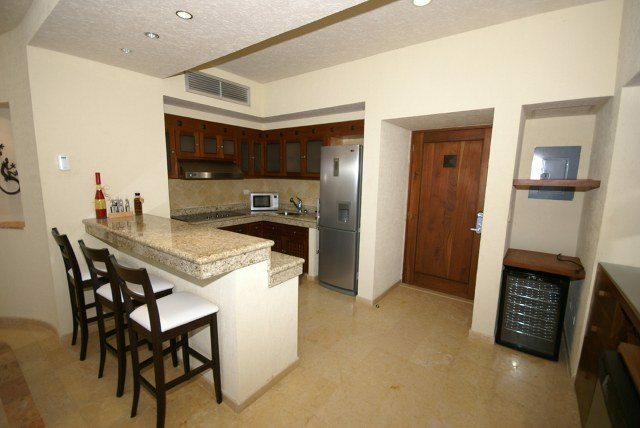 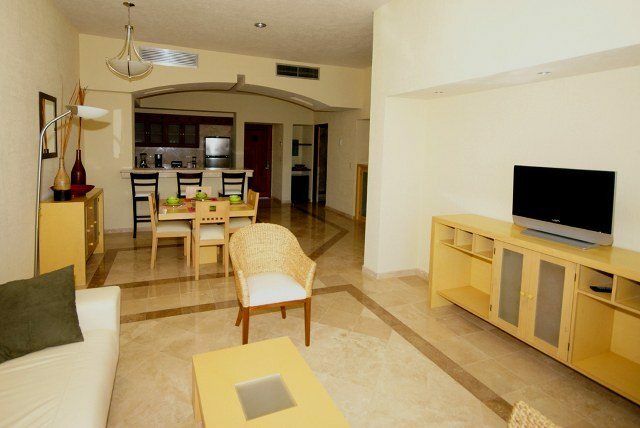 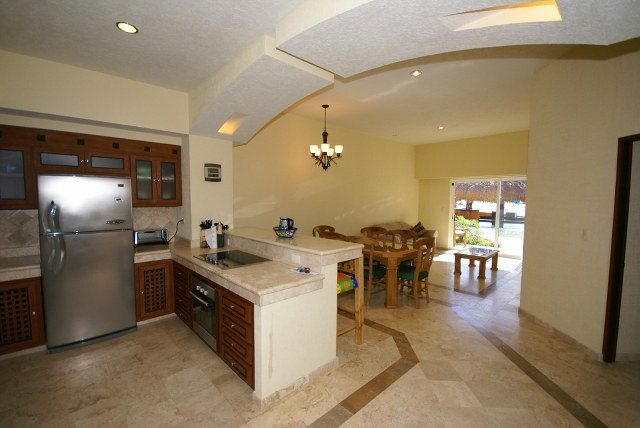 Villas de Cortez Resort guests can take advantage of the adjacent dining room at Hotel Palmas de Cortez by adding a meals-included package to their reservation, or prepare their own meals in their Villas condo in the fully-stocked kitchens. 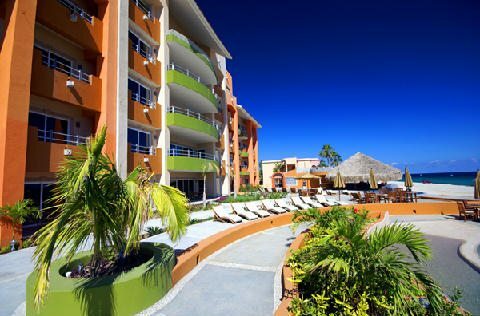 A supermarket featuring a wide variety of fresh and packaged foods is located just a short walk away in the town of Los Barriles. 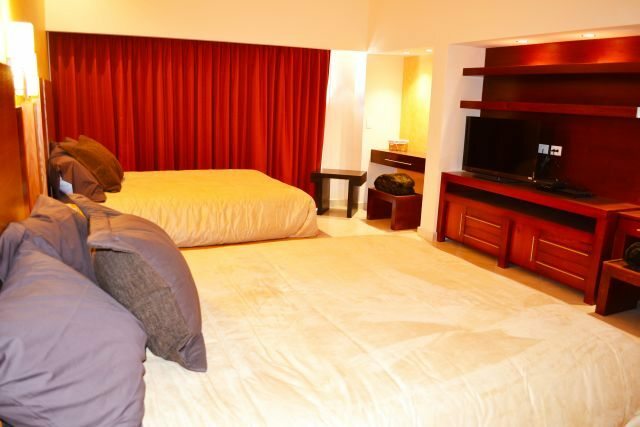 The most intimate accommodations are the studios, highlighted by either a king bed or two queen beds, plus living area with adjoining wet bar and full bathroom. 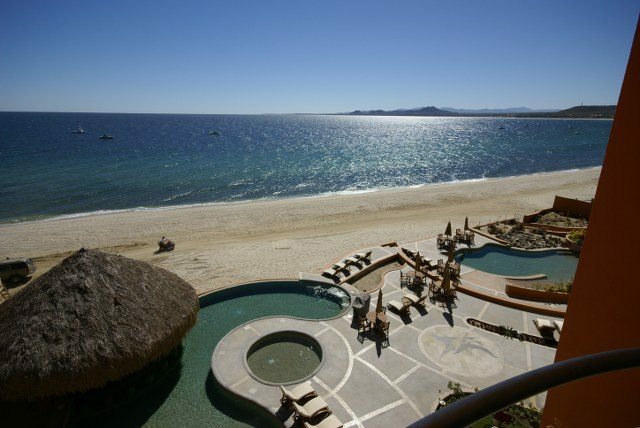 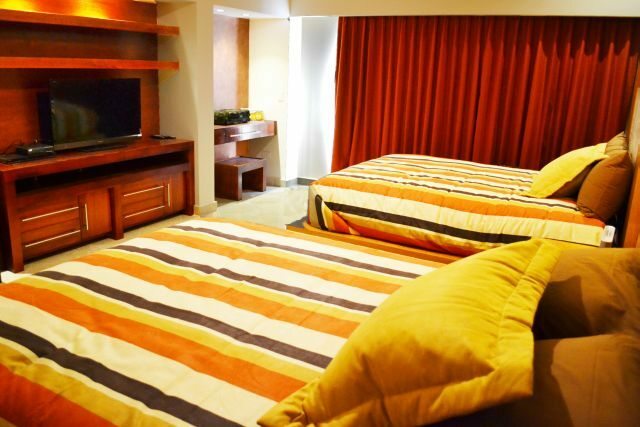 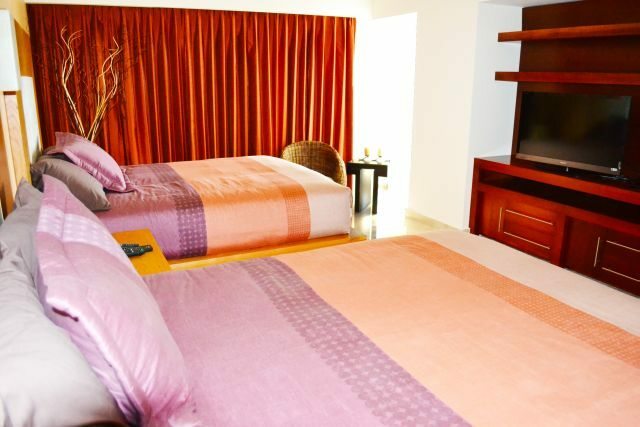 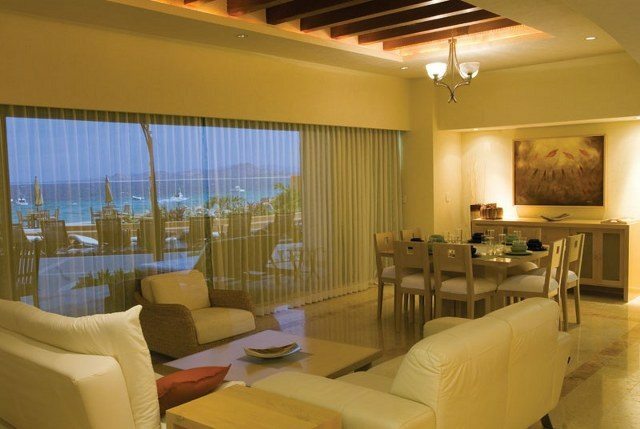 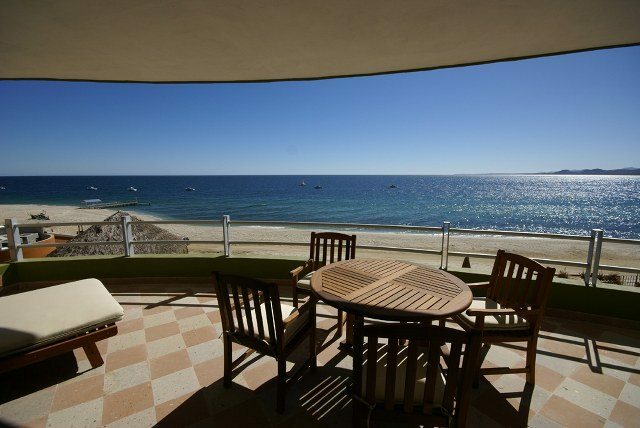 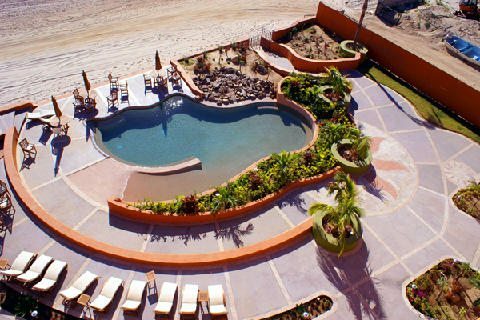 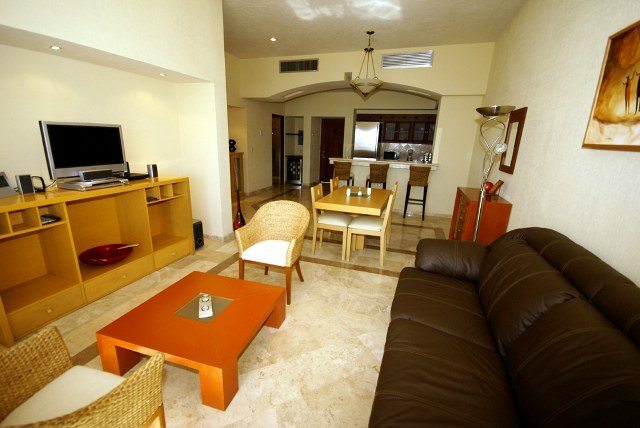 These comfortably appointed rooms offer classy oceanview comforts and are perfect for a romantic Baja beachside getaway. 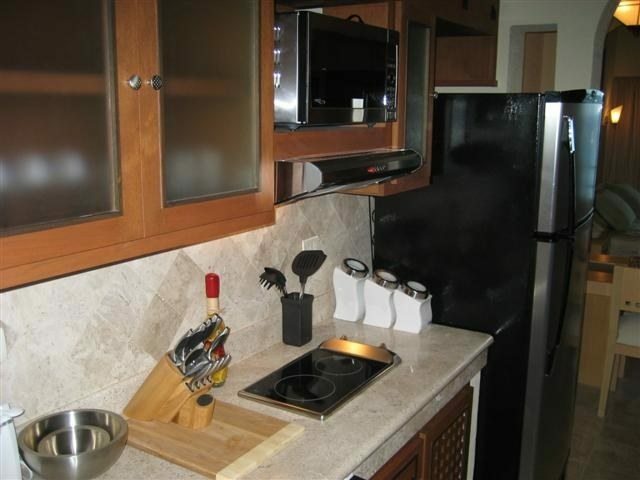 The next step up are the one-bedroom Master suites that feature a full living room and kitchen with wet bar, plus a living room futon that can be converted to an extra bed. 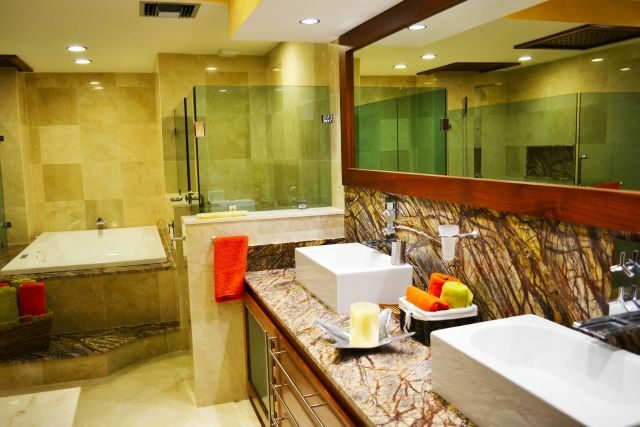 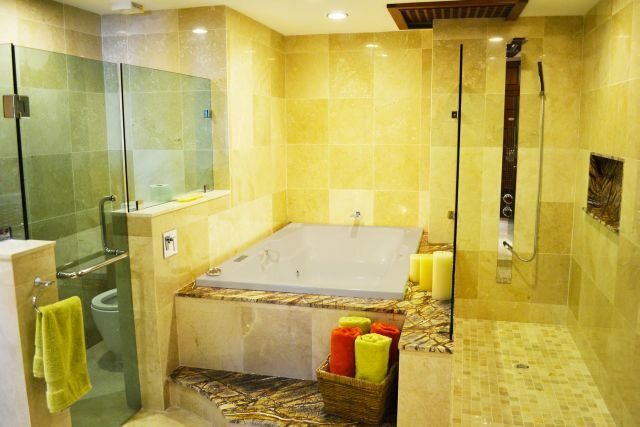 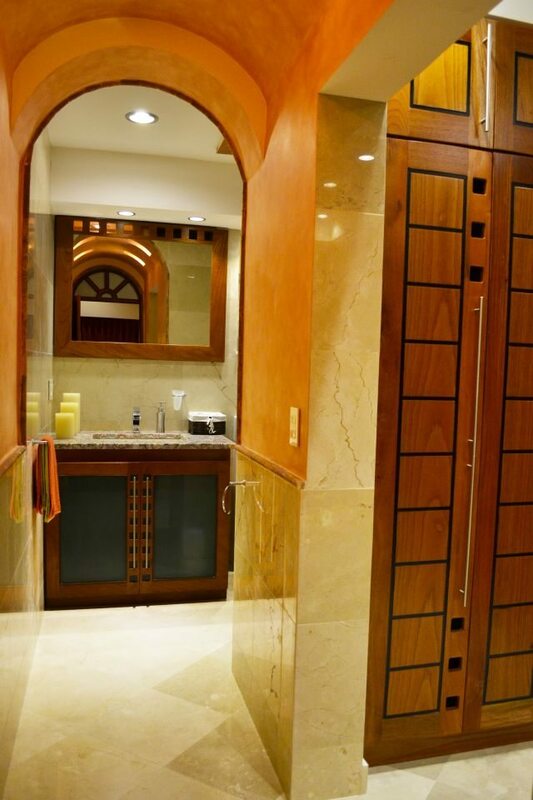 A full bathroom adjoins the living room. 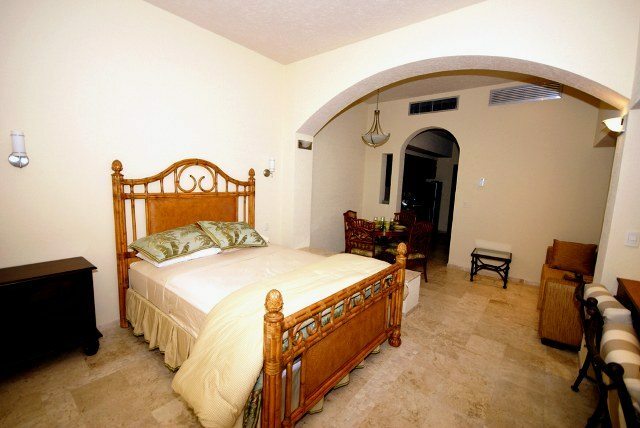 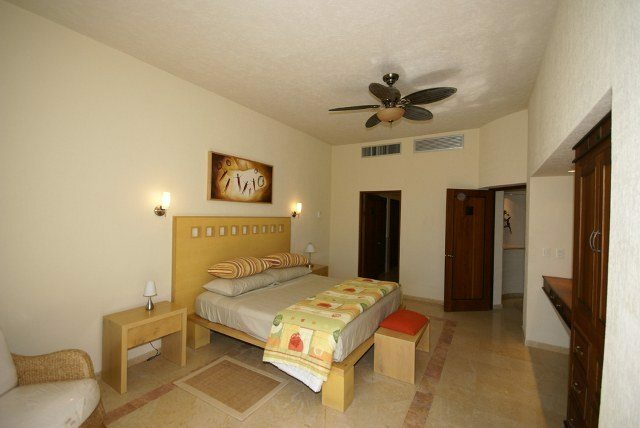 The master bedroom has either a king bed or two queen beds, also with an adjoining full tile bathroom. 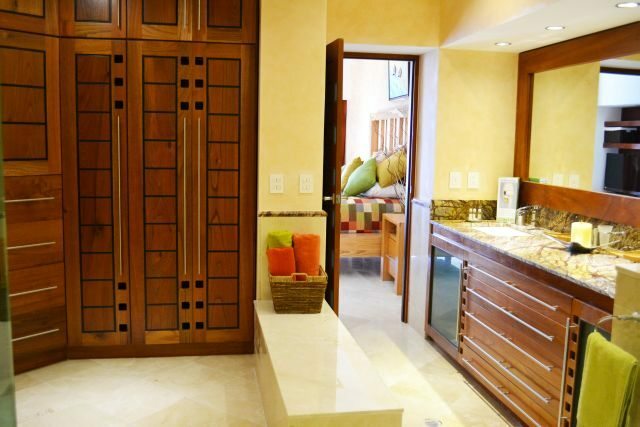 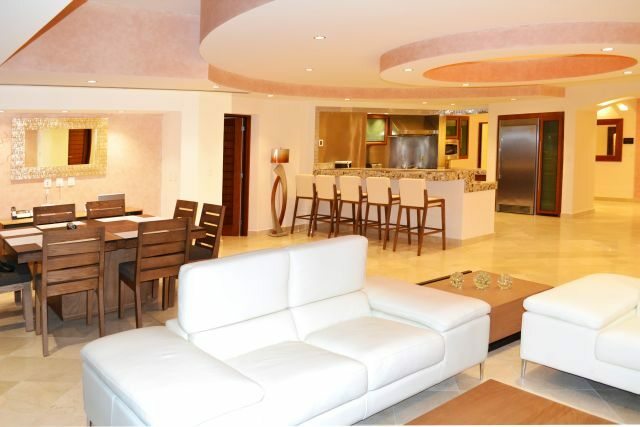 As in all Villas de Cortez, you’ll find upscale furnishings and attention to details that enhance the luxuriousness of your stay. 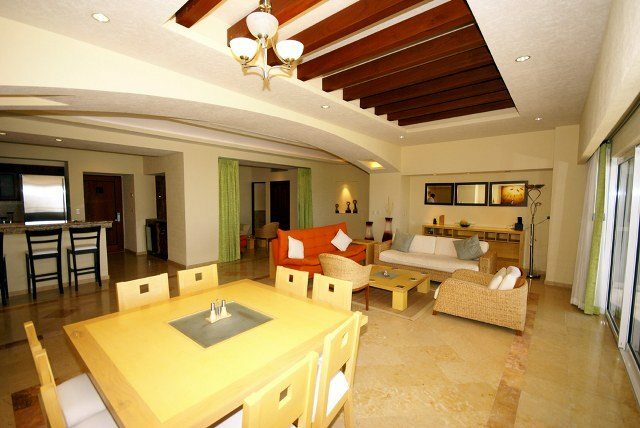 Finally, The Presidential suites offer spacious living quarters with full dining area, settee, and a side lounge, with a glass door opening to the terrace overlooking the pool, beach, and seafront. 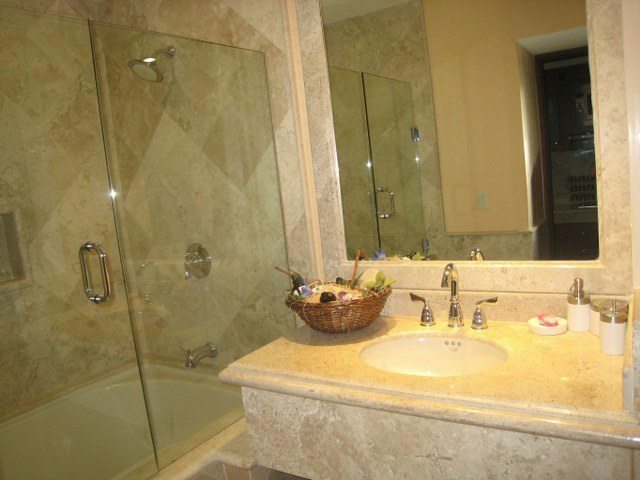 A full bathroom adjoins the living room. 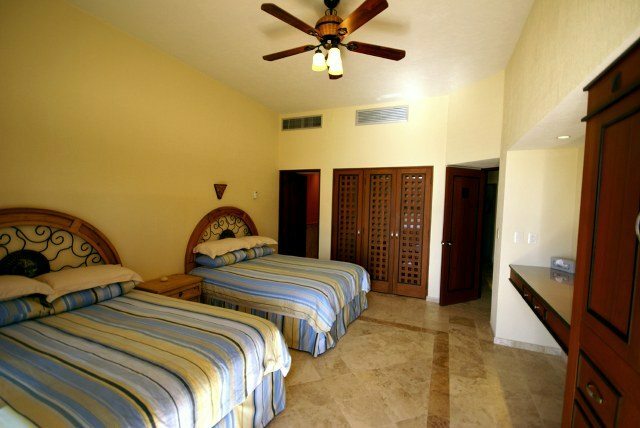 The Presidential suites feature two bedrooms: one king suite and one double queen suite, both with sliders opening to oceanview verandas, and each bedroom offers a full tile bathroom. 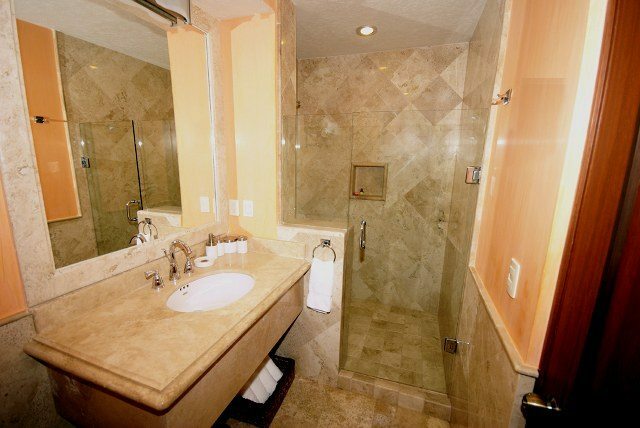 The master king suite also includes a jacuzzi. 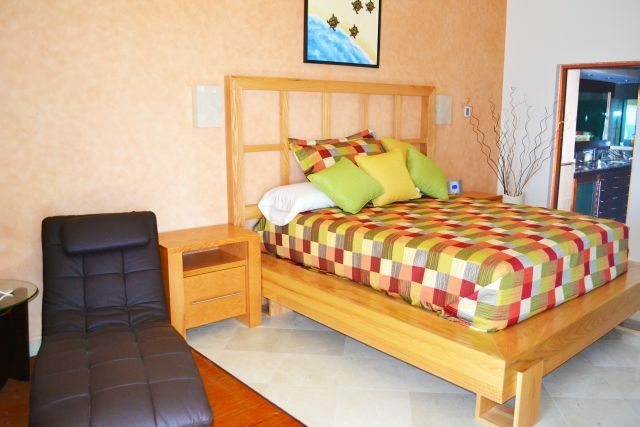 A futon in the living room can be converted for additional sleeping quarters. 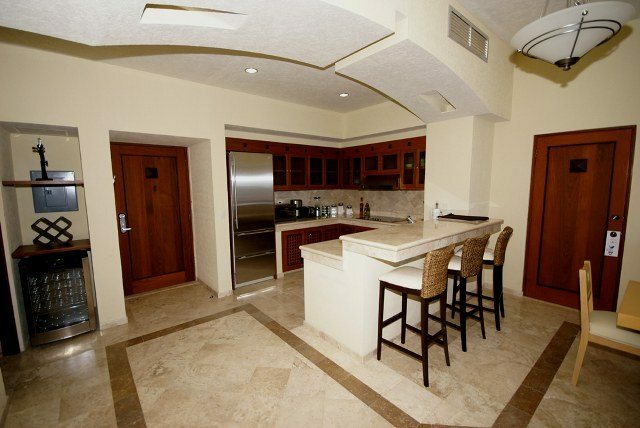 This one of a kind 4 bedroom 5 full bath Penthouse has it all! 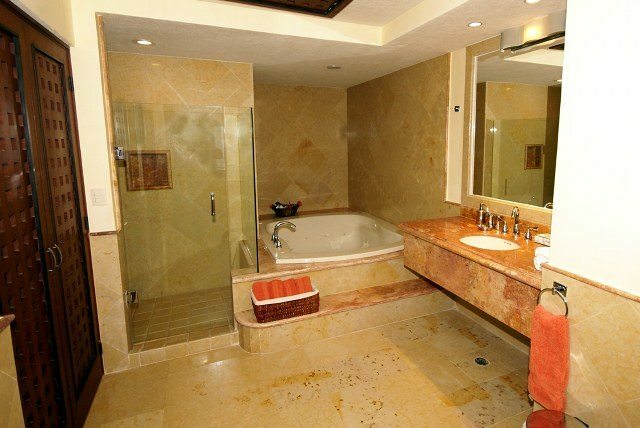 The master suite with its king size bed and luxurious bathroom that you have to see to believe is eloquently decorated with the finest materials. 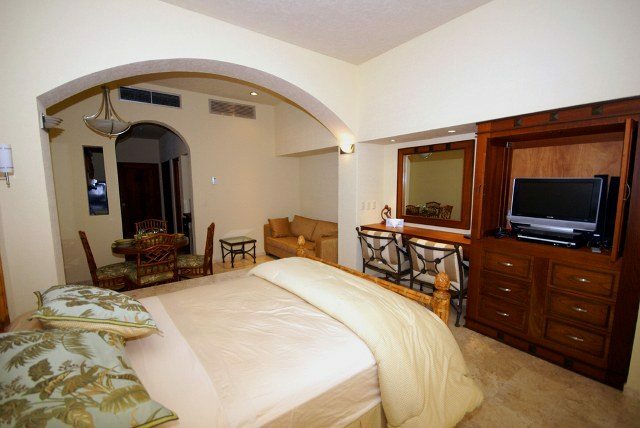 The 3 guest suites are just as luxurious, each with 2 queen beds and a full bathroom in each suite. 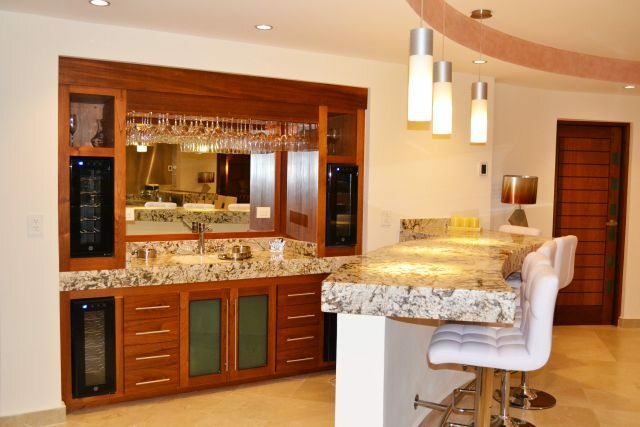 The open floor plan combines the living room, dining room, kitchen and bar area which make this an entertainer’s dream. 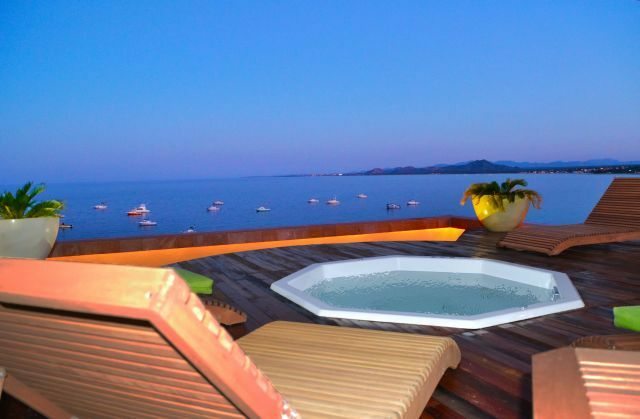 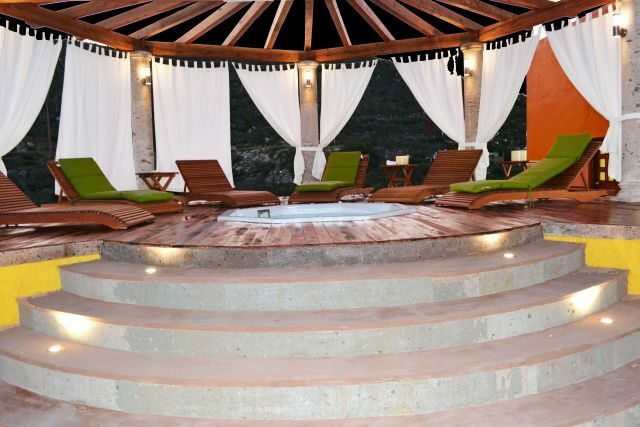 Let’s not forget about the spectacular views that are visible from every room, including the two private patio areas that come with their own private jacuzzi tub, lounge chairs and barbecue area. 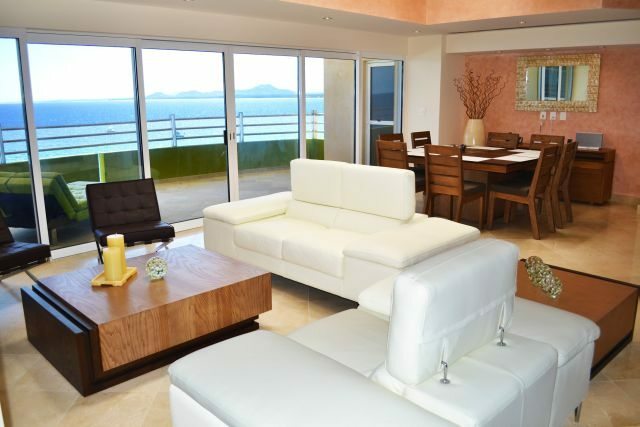 This is not your ordinary East Cape rental. 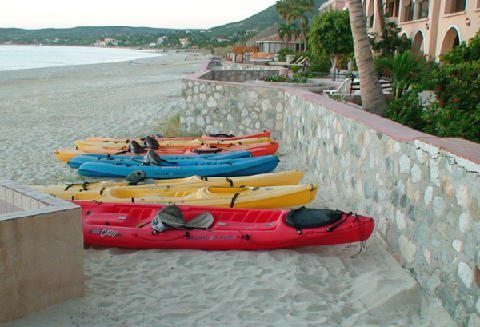 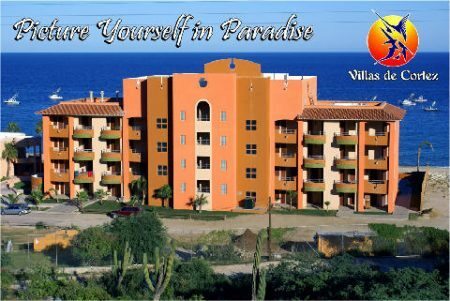 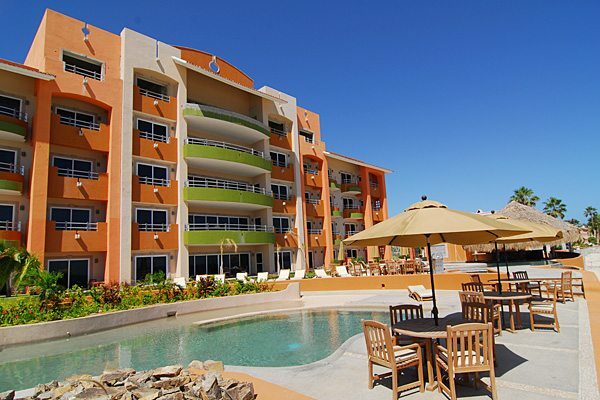 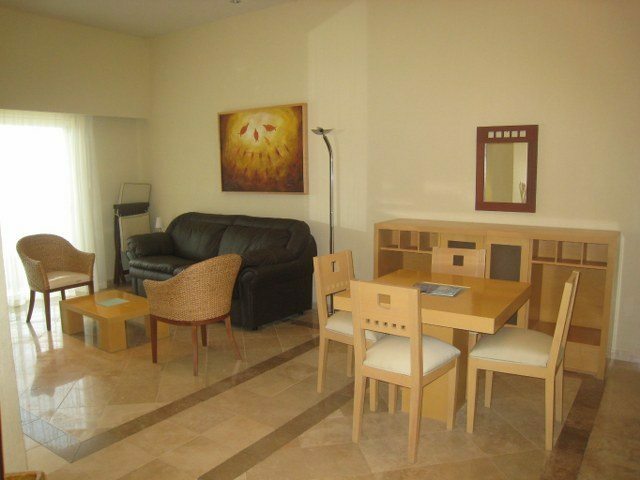 A few Villas de Cortez units remain available for purchase as full ownership condominiums, and resort guests can choose to rent any available units for vacations on a per-night or per-week basis. 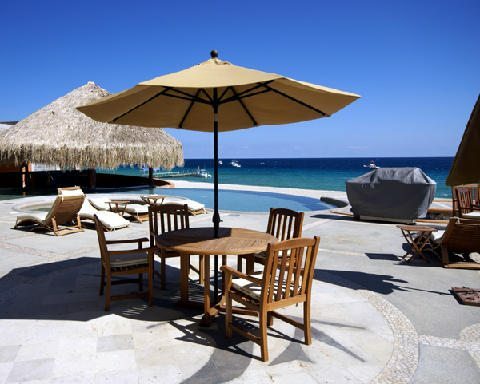 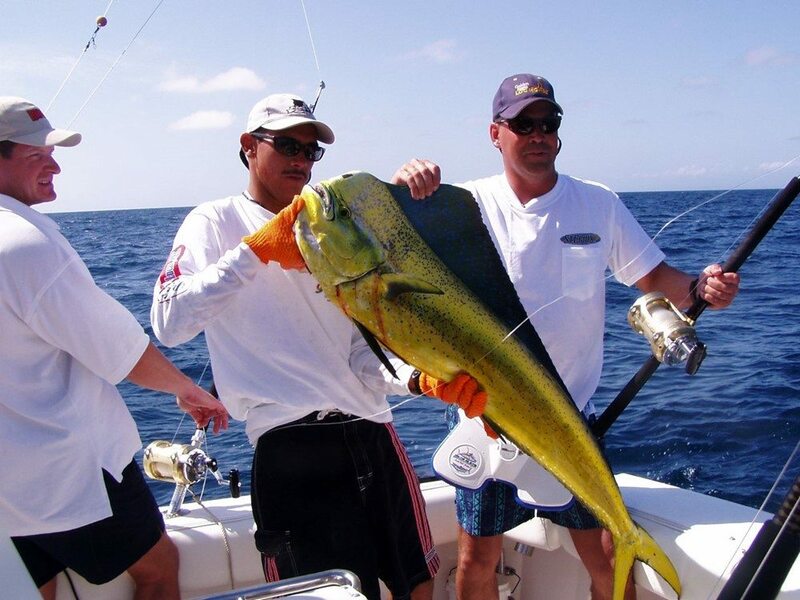 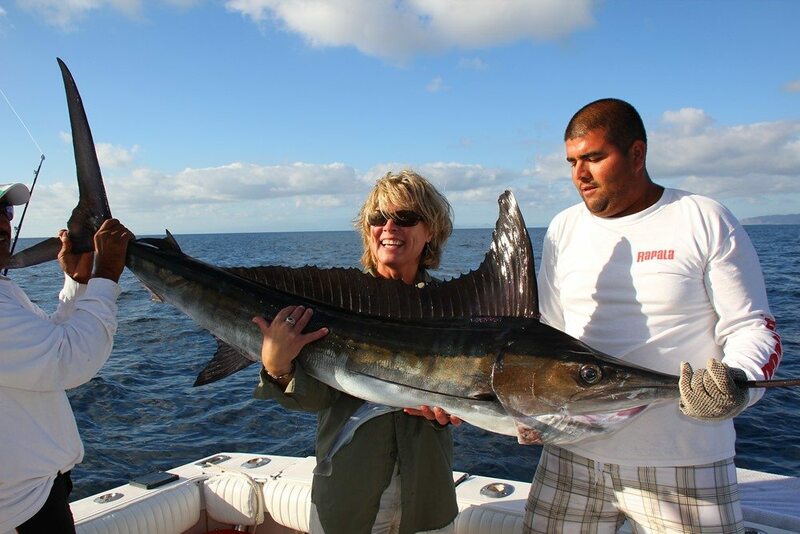 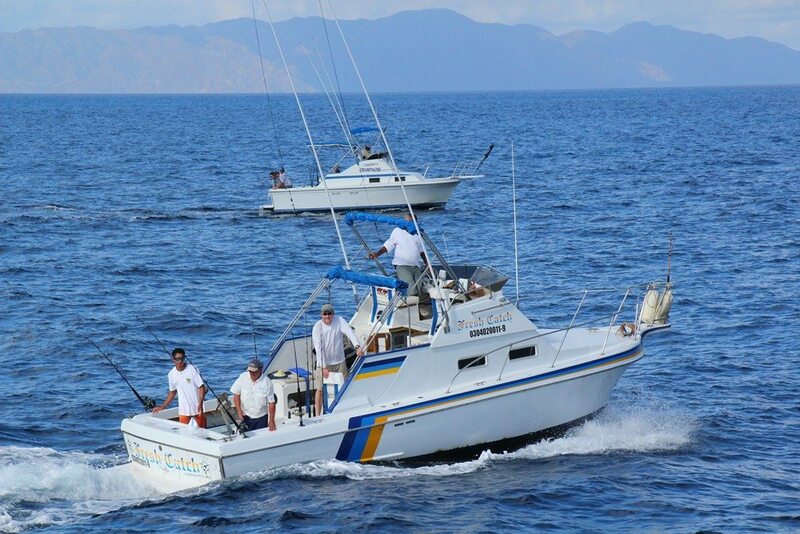 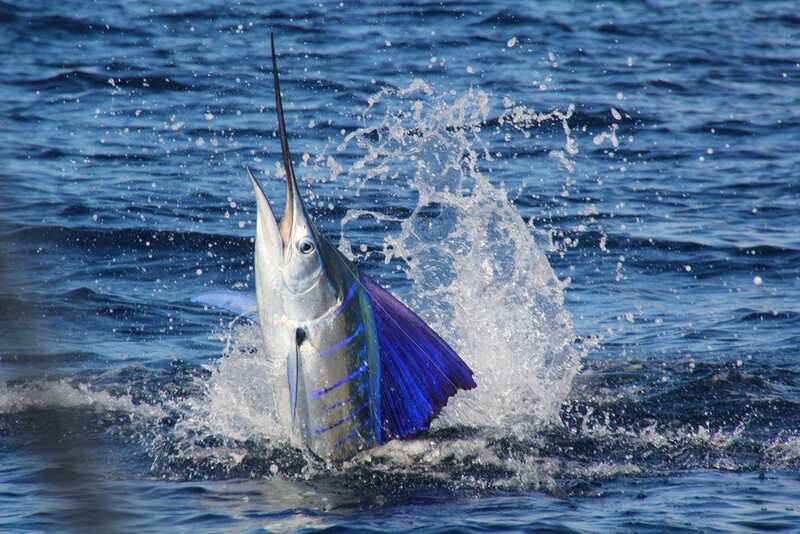 Our special Owner & Guests Services are what you would expect from a world-class resort hide-away for the rich and famous-and all are available to you at reasonable rental rates and ownership prices. 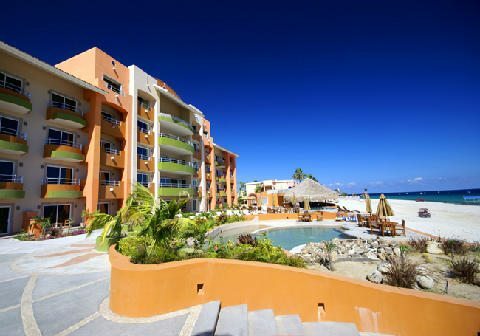 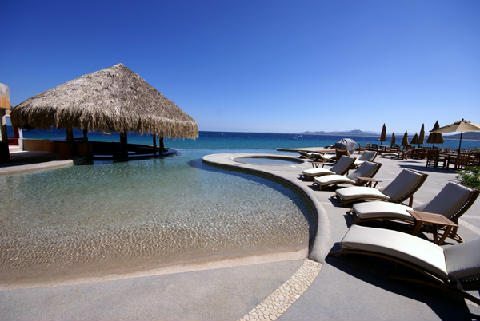 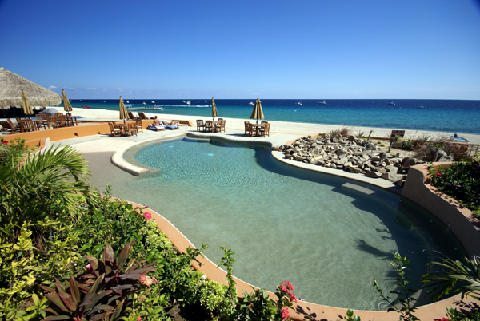 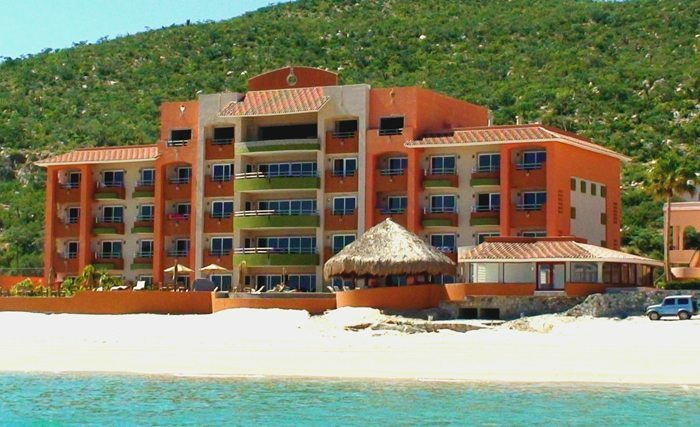 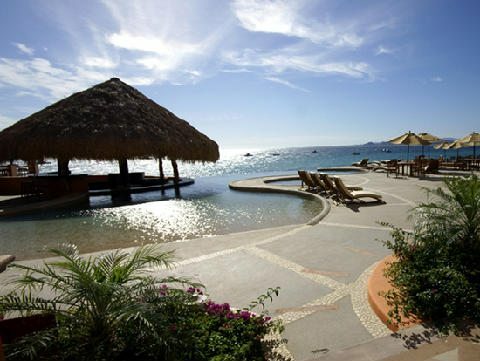 Savvy investors know the advantages to investing in Mexico real estate property, and the Villas de Cortez Resort Hotel and Condominiums provide a unique opportunity to “live the dream” just 45 minutes north of the Los Cabos International airport, at prices well below the levels of the crowded and crazy Cabo market. 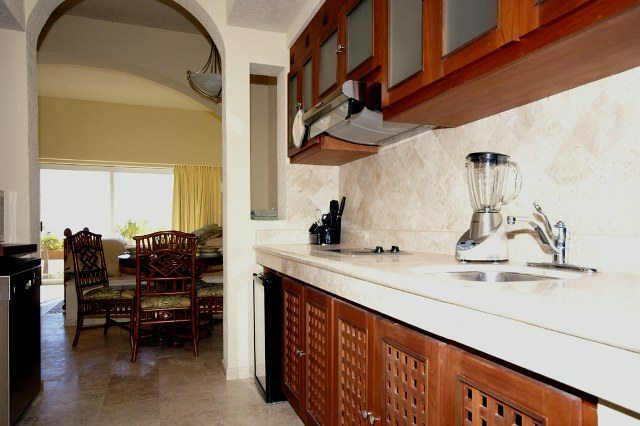 Whether you intend to invest in ownership or simply relax and be pampered as a resort guest in the tranquil and serene East Cape setting, you’ll still enjoy all of the amenities offered by Villas de Cortez, from the world-class spa and pools, gourmet beachfront restaurant, concierge services, an owner rental program, 9-hole golf course with driving range, and discounted access to Mexico’s largest private sportfishing fleet, and of course-the fantastic multi-species fishing opportunities available in the Sea of Cortez!